Why does black pride provoke such defensiveness? Walking around the Tampa Marriott Waterside hotel last week for the annual Association for the Study of Higher Education conference, you’d think the movie Black Panther had just premiered, given the proliferation of pro-black attire everywhere. It was very different from the early 2000s when I first started attending, when there were many fewer people with dark skin, and I wore bow ties to make a statement. 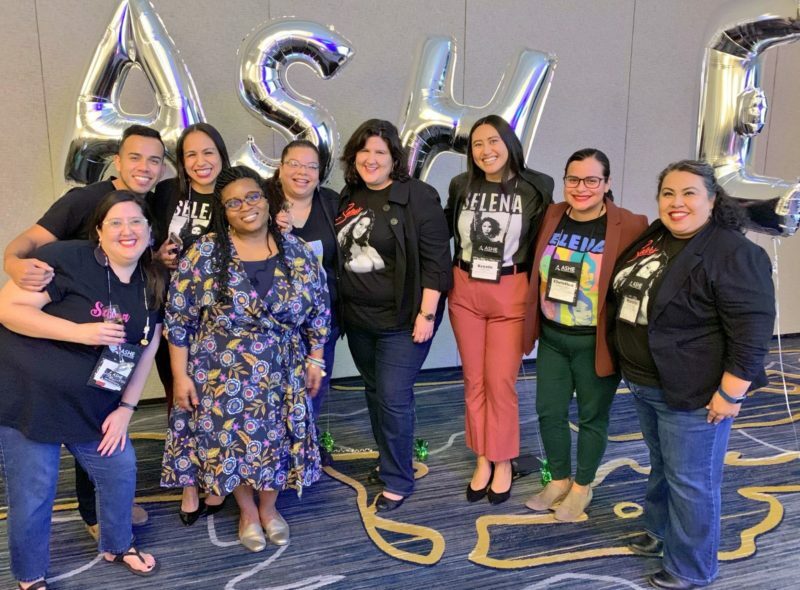 Now, t-shirts peeked out from official-looking blazers, emblazoned with phrases like “black minds matter,” “trust black women,” and “unapologetically black.” Not to be outdone, Latinx attendees represented the diaspora by donning shirts bearing images of the late, iconic Mexican American singer Selena Quintanilla-Pérez on Selena Day. This was a far cry from the days when people of color made their mark emulating white scholars. Sure, wearing Kente cloth to assert that one’s blackness can be a little clichéd. It should be obvious that clothes won’t necessarily make you conscious of white supremacy, aka “woke,” and it needs more to start a revolution. But even this visual demonstration was apparently too much for some attendees. One professor, who protested by not attending, devoted a blog post to arguing that ASHE has lost its rigorous standards, and as a consequence, its way. But clearly the theme of the woke academy was on point: It sparked discussion, was a cause for discomfort, a source of pride and of validation at the same time. To be clear, novelty tees are probably no more effective as a sartorial ticket into a very white Ivory as bow ties. Despite decades of pledging to hire more black faculty, the number of African American faculty on college campuses didn’t rise between 2006 and 2016 — in fact, it fell slightly, by about a half percent, according to an analysis by The Hechinger Report. The stir caused by the theme was the very reason it was needed. A community of postsecondary scholars who can’t get past superficial and symbolic signs of progress to discuss the more substantive inequalities in colleges and universities deserves a shaking up. Deep discussion of impending affirmative action cases, an erosion of sexual harassment protections by Secretary of Education Betsy DeVos, a leaky pipeline to the professorate, and the inappropriate use of police on college campuses demand that professors who study higher education get woke. At the tip of the iceberg is Students for Fair Admissions v. Harvard, a lawsuit filed in the Massachusetts District Court in 2014 against Harvard College’s admissions practices. Despite decades of pledging to hire more black faculty, the number of African American faculty on college campuses didn’t rise between 2006 and 2016 — in fact, it fell slightly, by about a half percent. SFFA, a nonprofit created to eliminate the use of race as a consideration in college admissions, represents a group of Asian-American plaintiffs who are remaining anonymous. It claims that the university practices a discriminatory quota system that unfairly penalizes students of Asian descent who have the highest test scores among the major racial categories. Harvard argues that it exercises its constitutional and moral right to set diversity goals and considers race in admissions decisions in order to reach them. 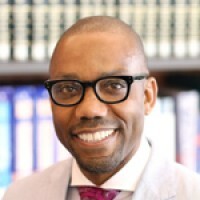 The lawsuit, which is expected to reach the Supreme Court, follows a line of court cases since the 1978 U.S. Supreme Court decision in Regents of the University of California v. Bakke, in which the white plaintiff, Allan Bakke, argued that he was unlawfully rejected by a medical school that had accepted black candidates with weaker credentials. The court ruled that using racial quotas in college admission decisions violated the Equal Protection Clause of the constitution but that affirmative action programs can be used to meet diversity goals. Ed Blum, a financial advisor backed by deep-pocketed Republican donors, leads SFFA in its efforts to take down Harvard. Blum was also behind the race admissions case at the University of Texas and Shelby County v. Holder, the suit that defanged the Voting Rights Act of 1965. The Harvard case differs in that a white person isn’t explicitly demanding a seat at a university. Couched as a defense of Asian-Americans, the suit is in fact part and parcel of the same good ol’ boy agenda that seeks to dismantle race-conscious policies that make it possible for Asian, Black and Latinx students to attend institutions that had historically barred them from attending. The demand for race-neutral policies, those in which the race of the applicant are not considered, are any thing but neutral. White people fight for race-neutral policies for a reason — shoring up their existing privilege. Earlier this year, the Department of Justice sided with the plaintiffs in the Harvard suit, stating in a court filing that the university failed to demonstrate that it does not discriminate on the basis of race. It isn’t surprising that the administration of Donald Trump, who promised to make America “great” again, would want to return to a time before affirmative action. The court case represents a persistent, bipartisan movement to make yet more room for white people at colleges and universities. This is reflected in legal battles as well as the racial tensions that can too easily emerge from a conference theme that calls out racism and white privilege. It’s painfully obvious that a fear of a browning America holds true for the Ivory Tower as well as for researchers who study it. Those who study higher education (should) know that racial inequalities in postsecondary institutions help reify injustices outside of it. If colleges are ever going to help create an equitable society, they must grapple with the disparities within. 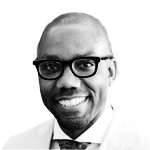 Yes, higher education researchers are not immune from racism, which undercuts our ability to assess the needs of students, institutions and communities. Hence, the need for a woke academy. The demand for race-neutral policies, those in which the race of the applicant are not considered, are any thing but neutral. The theme of the ASHE conference was about more than about making a fashion statement. It was buttressed by new programming: an examination of practices to create equitable and inclusive campuses; a video blog discussing how to apply “wokeness” in one’s research; hosting 400 high schoolers who learned about HBCUs and received free counseling; an offsite town hall to discuss college prospects for incarcerated and formerly incarcerated women and girls of color. But the threat of a black and brown takeover kept some from acknowledging these important contributions. The theme of the conference is a much-needed alert that the organization’s relevance is at stake. And it’s a demand that people of color be included in a world that questions their existence in it.